​Preschool/Kind. 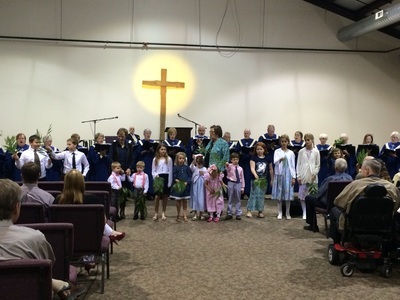 Choir meets during Mission Friends at 7 p.m.
Children begin the service waving their palm branches for the Palm Sunday service. The Sanctuary Choir will present the musical, The Victor's Crown. We will observe Communion during the service. 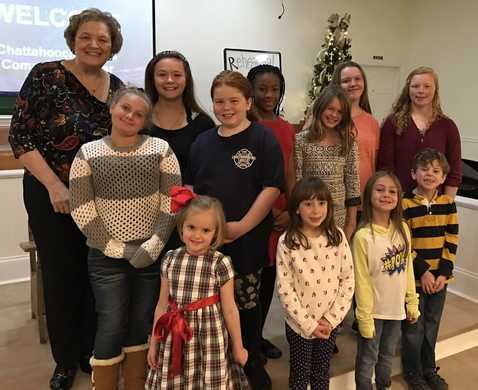 Kids' Choir - "A Country Christmas"
Sunday morning, Dec. 16 - 11 a.m.
Preschool-Kind. 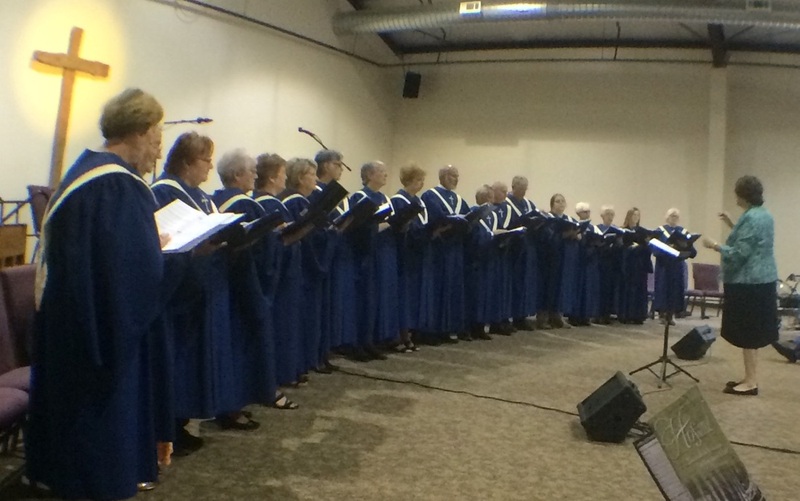 Choir - "Happy Birthday, Jesus!" Sunday morning, Dec. 23 - 11 a.m. The Vacation Bible School Music last summer! The students enjoyed the songs & movement for 2018 GAME ON! 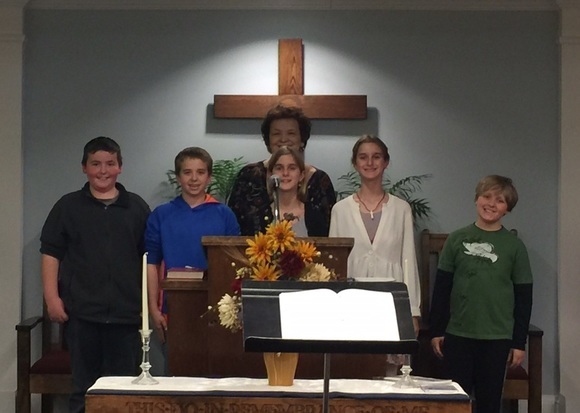 Our music team members were Sara Beth, Jacy, Garrett & Ms. Nancy. 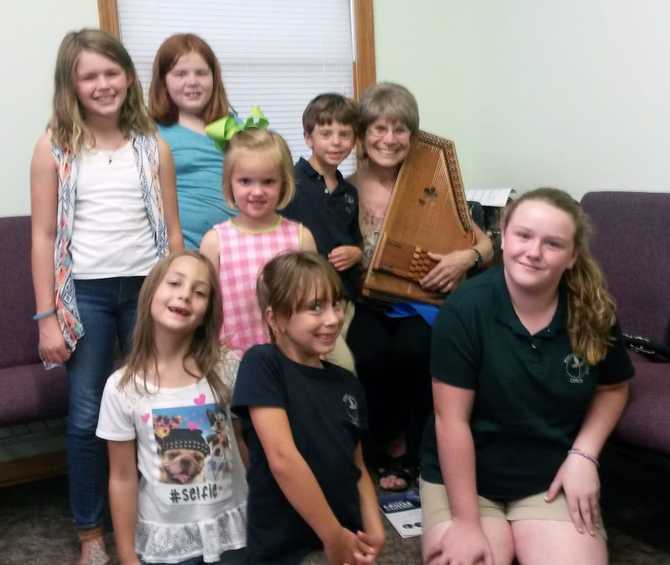 ​The picture at the top of the page was made during VBS, 2018.
instruments, music symbols, performing, singing and movement. The Palm Sunday Processional was a blessing to everyone. 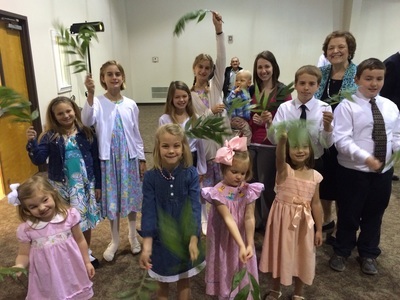 The children waved the palm branches in praise to Jesus. ​Really, Really, Really Good News! Special thanks to Chloe, Hannah, Harper, Jackson, Katy, Kylee, Macie, Maya,​ Shelbilynn! Special thanks to Chloe Bowman and Gretchen Bowman for participating in the play. Our Preschool Choir celebrated Jesus' birthday! The Preschool Choir sang at beginning of program on Sunday, December 4. Special thanks to Carter and Colten Hutcheson for singing Happy Birthday to Jesus. We also thank the other preschoolers in the audience who helped us celebrate.